The Global Business Professional certification is a prestigious acknowledgment of international business expertise, including management, marketing, supply-chain management, and trade finance. The Certified Global Business Professional Online Program will prepare you for the certification exam. This online certificate program is offered in partnership with major colleges, universities, and other accredited education providers. The North American Small Business International Trade Educators Association (NASBITE) Certified Global Business Professional (CGBP) Credential provides a benchmark for competency in global commerce. The CGBP designation demonstrates your ability to conduct global business. If you're experienced in international trade, the certification provides recognition of your knowledge. If you're just beginning a career in international business, the certification establishes your commitment to professional development. The Certified Global Professional Online Program was created by academics, industry practitioners, and professionals who assisted in the development of the credential, and it's facilitated by instructors with extensive backgrounds related to the material. 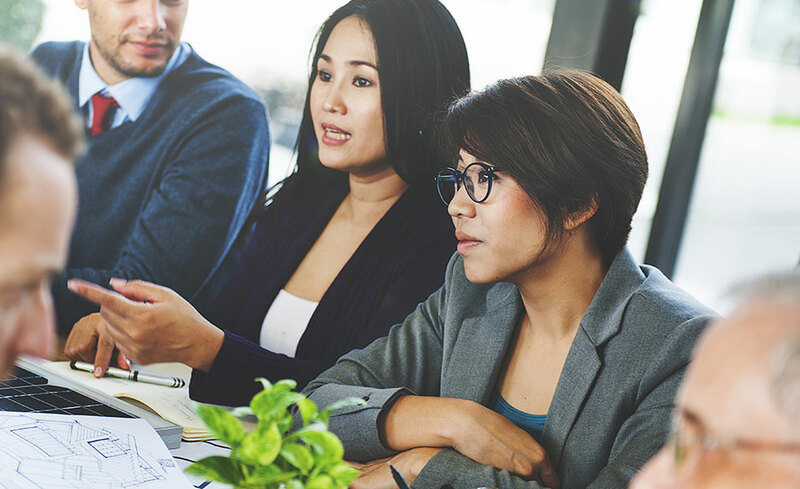 The Certified Global Business Professional Program prepares you for the credential exam by educating you in four areas: global management, global marketing, supply chain management, and trade finance. Review essential management skills in an international business context. You'll learn about setting a mission and vision for a global business enterprise; developing a global business plan; conducting research in an international environment; understanding the nuances of cultural, legal, political, and regulatory differences; and using technology to support global trade. This module focuses on marketing, including: assessing the external environment, performing strengths-weaknesses-opportunities-threats (SWOT) analyses, conducting international market research, developing a marketing plan and budget, determining the global marketing mix (product, price, placement, and promotional strategies), and conducting competitor analyses. This module delves into all aspects of managing supply-chain logistics, including: transportation modes; taxes, duties, and quotas; trade agreements; packaging requirements; use of intermediaries; documentation requirements; legal and regulatory requirements; insurance; trade conventions; and the offshore procurement process. This module will provide you with an overview of essential skills for managing financial transactions in international trade. Topics covered include political and economic risks, foreign exchange tactics and risks, credit and payment risks, optimal terms of payment, arranging financing, and setting the business's overall financial plan. IBM or PC computers or Mac computers can access this course with high-speed Internet or dial-up via a 56.6K modem or better. Microsoft Office and Macromedia's Shockwave and Flash applications (available via free download) are also required. There are no required textbooks. All material is contained in the program and can be printed for future reference. This program is for you if you're a NASBITE member, an employee at a large or small company with global interests, or a practitioner, an educator, or a student engaged in international trade and global commerce. The credential is also suitable for individuals working in trade-assistance organizations, trade-promotion agencies, and related educational institutions. This is not an instructor facilitated program. Certified Global Business Professional does offer students an Ask the Experts feature which will provide them with access to industry experts. 1. What trade skills are certified and at what depth? Within each of these areas and threads, there are tasks and knowledge statements tested through the CGBP exam. The NASBITE CGBP doesn't certify that a candidate is an expert in each of the four domains. It certifies that a candidate is proficient in the tasks and knowledge generally associated with a practitioner who's worked in global trade for two years. 2. What are the benefits of the CGBP certification? Candidates who receive the NASBITE CGBP designation may use the credential logo and word mark on resumes and business cards, which will identify them to employers and the public as individuals proficient in global commerce. For companies, the certification establishes a professional development goal for current and future employees. The credential also helps individuals diversify their skills in global commerce and assures they understand a broad range of topics rather than just the specific field they have experienced within international trade. 3. What’s required to achieve certification? To receive the NASBITE CGBP designation, a candidate must pass the CGBP exam and have completed either two years of college-level study or have worked in global commerce for two years. 4. What is the CGBP exam and when is it offered? What is the cost? The CGBP exam is a multiple-choice exam covering the four areas and five threads. The exam is offered in major U.S. cities at various times during the year. Locations and dates are posted on www.nasbite.org under Exam Locations. 5. How long does it take to complete a program? All of our programs are self-paced and open enrollment. You can start and finish the program at your own pace. Upon registering, you're given twelve months to complete this program. 6. Can I register for programs if I am an international student? 7. How long does it take to complete a program? All of our programs are self-paced and open enrollment, so you can start them when you want and finish them at your own pace. Each of the four courses contained in this program will take an average of forty hours to complete. If you need more time, extensions are available. 12. Who will be my instructor? There is no facilitator for this program. Certified Global Business Professional does provide students an Ask the Experts feature which will provide them access to industry experts who will respond to all student questions within twenty-four to forty-eight hours. All of the experts are successful working professionals in the fields in which they represent. 13. What software or hardware do I need in order to take online programs and what are the system requirements? 14. Can I use a Mac? 15. How can I get more information about the program? 16. When can I start the program? The course itself was clear and provided a lot of information. It met my expectations. Thanks you!